Note: The Space Weather Prediction Center, the NOAA government agency that provides much of the online data used by DX Toolbox, has changed most of the data sources. Download a copy of the DX Toolbox right now, to try out without obligation! The cost of buying DX Toolbox is only $24.99! DX ToolBox has dozens of windows providing a wealth of important information about current and forecasted radio, solar, and geomagnetic conditions. 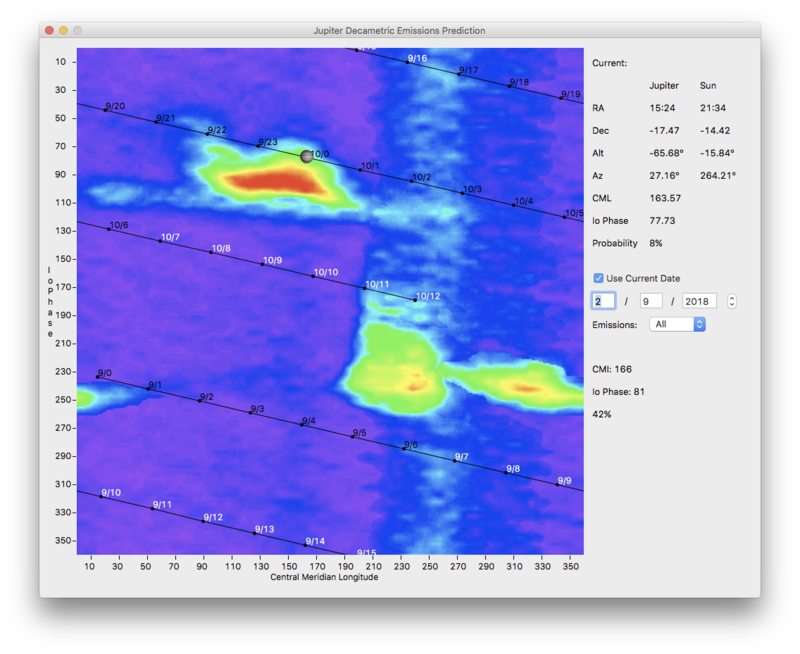 Take a look at some DX Toolbox screenshots to see just a few of them. Or better yet, download a free copy to try out. In addition, the last month's worth of Solar Flux, A-Index, K-Index, Sun Spot Number, and background X-Ray Flux are plotted. Audio alerts can be generated when solar flares, aurora, or disturbed geomagnetic conditions exist or are likely. A grayline map of the world is also available. Radio propagation between locations within the grayline region of the world is often greatly enhanced. DX Toolbox's grayline map makes it easy for you to determine where those locations are. Grayline propagation has been used by expert ham radio operators and DXers for years to catch elusive stations. You can have the location of the currently transmitting NCDXF/IARU beacon displayed on the map as well. These beacons are run by ham radio operators around the world, and can be used to determine radio propagation conditions between your location and that part of the world. You can also plot the great circle (both short and long) path between your location and another station, and compute distance, as well as the beam heading. Radio propagation conditions can also be estimated between two points on the Earth. 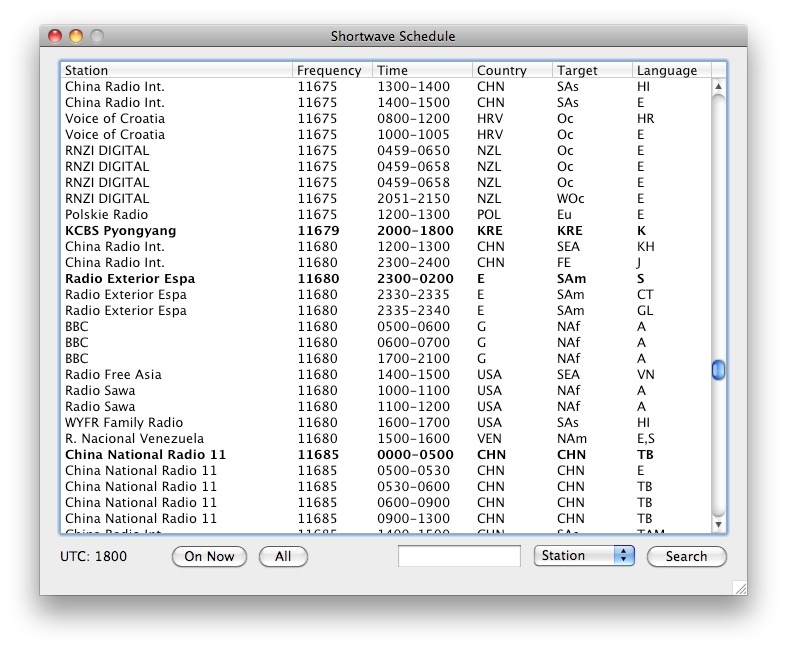 A database of over 12,000 SWBC (shortwave broadcast) transmissions can be displayed and searched. The third party app SdrDx can be controlled via the SWBC Schedules window. Just double click on a transmission, and SdrDx will be changed to that frequency. Likewise, tune in a station on SdrDx, and the SWBC Schedules window will automatically update to show all possible stations that you could be listening to, with transmissions currently on the air highlighted in bold. 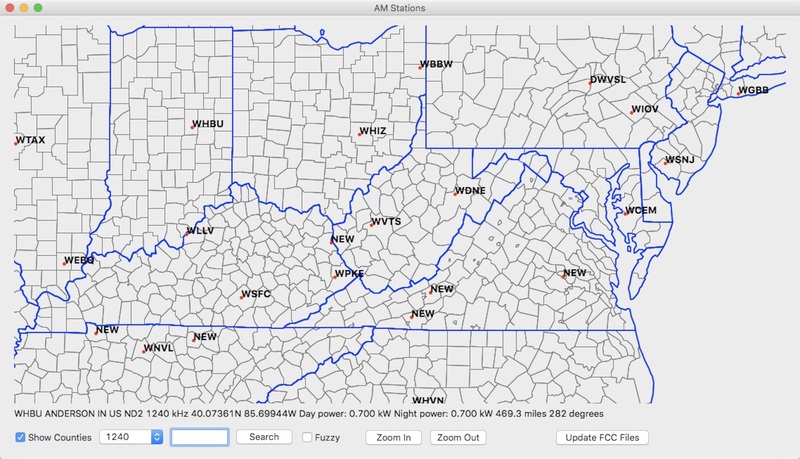 DX ToolBox uses an FCC database to display US and foreign AM (MW) stations on a map, as well some information about them. Double clicking on a station on the map will bring up a line of text with information about that station. You can also search for stations, as well as do a "fuzzy" search. Say you heard a callsign, but there's the chance you misheard one of the letters. C sounds a lot like E, for example. With the fuzzy search option enabled, similar letters will be checked as well. A list of all possible matching stations for the specified frequency will be displayed. Grid square locations may be determined, as well as looked up on a map, which also shows the world's time zones. 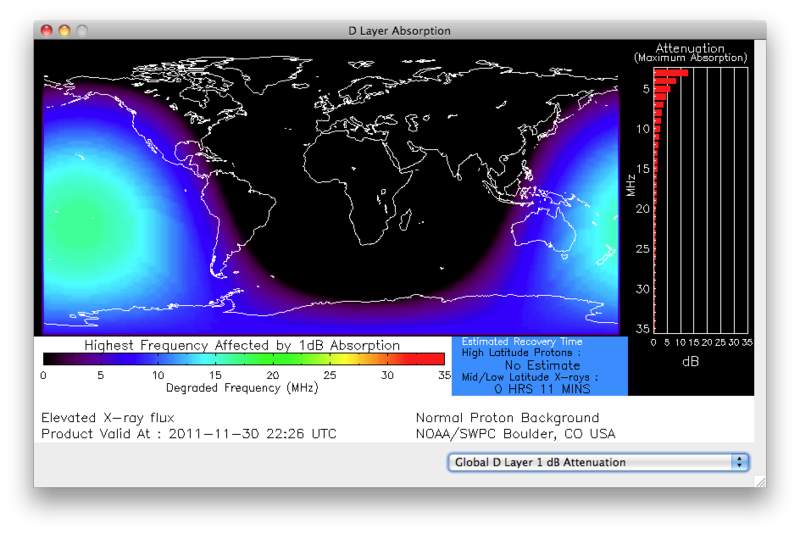 Maps showing auroral levels, as well as the maximum F layer frequency (related to MUF) over various parts of the world are also displayed. Real-time images of the Sun from the SOHO satellite are also available. Prediction of Jupiter Radio Bursts/Storms can be calculated and displayed. These storms can be heard on the upper end of the shortwave band. You can also connect to your favorite DX Cluster, to read and send DX tips in real time. Be sure to read our HF Shortwave Radio Propagation Information tutorial for information about how shortwave propagation works. DX Toolbox is available for Mac OS X 10.6 through macOS 10.13 High Sierra, and Windows XP / Vista / Windows 7 / Windows 8 / Windows 10. DX Toolbox requires an active internet connection while it is running for accessing most data; propagation forecasting can be done "off-line". DX ToolBox can communicate with other applications, such as SDR software as well as radio tuning programs. This lets you tune your radio from within DX ToolBox, such as by clicking on an entry in the SWBC window. Also, third party applications can query the SWBC database inside DX ToolBox, to display information. Read the DX ToolBox Inter-Application Protocol page for more information. DX Toolbox is only $24.99!